​​​​​​​​​ BROOKSHIRE, WALLER COUNTY – Goya Foods is expanding its North American Processing Center by adding 324,000 sf of production warehouse, distribution warehouse, production office, and auxiliary buildings. The expansion—expected to be complete​d in 2018—almost doubles Goya's existing 380,000-sf facility at 30602 Goya Rd., west of Houston. 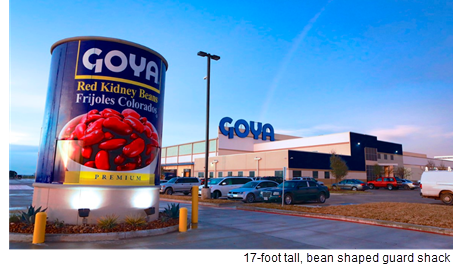 The current Brookshire facility was part of Goya's $250 million investment for a global expansion to support consumer demands of Goya's healthy product lines. Check out Goya's recipe videos. ​​Check out more Houston Industrial Market Research.